Location: Lewiston, Maine • Date: 6/25/11 • Standard Print (w & h): Image: 40.0" x 43.2"
This image is composed of 20 individual shots taken at 125mm. 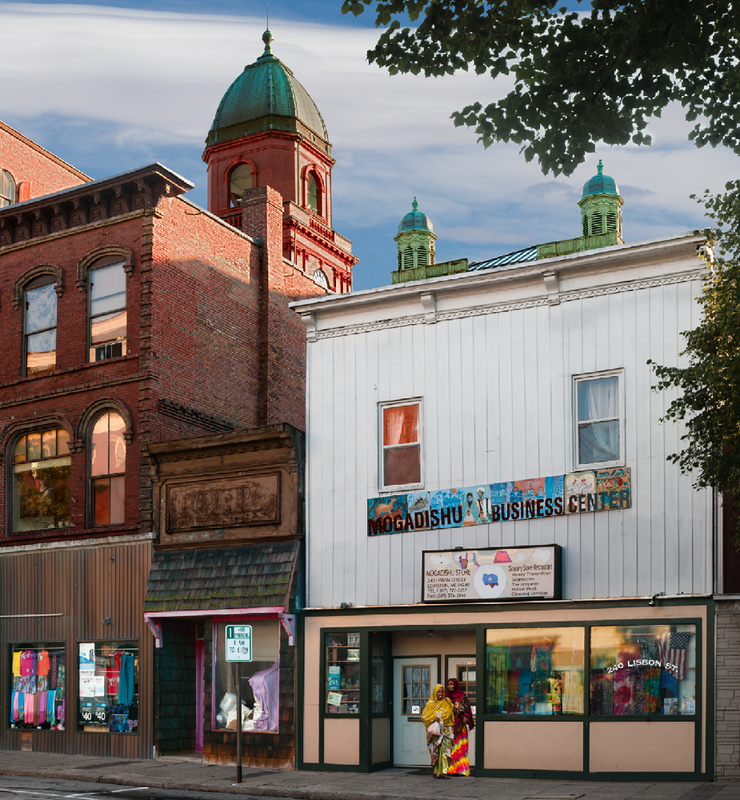 Over the last few years Lewiston has seen an influx of Somali immigrants which has had a dramatic influence on this formerly French Canadian Maine mill town. The domes in the background are part of Lewiston's City Hall which was built in 1892.